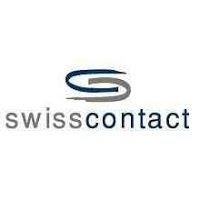 Swisscontact is the business-oriented independent foundation for international development cooperation. Represented in 36 countries with over 1400 employees, it promotes – since 1959 – economic, social and environmental development. The Project Manager gives strategic direction and oversight to the implementation of the U-Learn project in Tanzania. The U-Learn Project is aimed at supporting the transition of young people from education to employment through a comprehensive package of interventions that increase their competitiveness in the job market and/or equip them for self-employment. The project targets 7500 young people in 14 districts (Ukerewe, Ilemela, Nyamagana, Kwimba, Magu, Sengerema, Misungwi, Geita, Musoma urban, Musoma rural, Tarime, Rorya, Bunda and Butiama) and focuses on three economic sectors – namely, agribusiness, construction and hospitality. The Project Manager will oversee and be accountable for delivery of the project interventions and achievement of the project goals. He/she will contribute to high-quality implementation and provide leadership and technical support to the project team and partners. He/she will develop and enhance relationships with partners, conduct monitoring and reporting, and ensure that project activities are appropriate, timely and of high quality. We offer a challenging and rewarding assignment with scope for personal responsibility. Interested? Email an application to Tania Haidara, Swisscontact Country Director, Uganda, at tania.haidara@swisscontact.org by 10th April 2019.